The Xiaomi Redmi Note 6 Pro will be launched in India on November 22 and it will become the first phone from xiaomi to get MIUI 10 straight out of the box. Compared to Redmi Note 5 Pro, the Redmi Note 6 Pro gets a bigger display, better optimised primary cameras and dual front facing camera. Keeping with trends, there are a host of AI featured you will find on the Redmi Note 6 pro this time around and from what we can say from our intial testing, the camera will not disappoint. 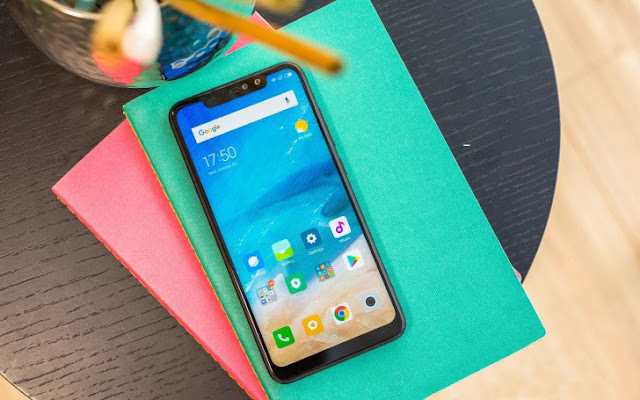 While the Redmi Note 6 Pro brings all these new features, most of its hardware specs match that of the Redmi Note 5 Pro, including the snapdragon 636 SoC. Our Review of the Redmi Note 6 Pro is currently underway, but to start you off, here are five things you need to know about the phone. The Redmi Note 6 Pro bears almost the same design as the Redmi Note 5 Pro, but with a notch on the display. There are small changes that might go on to make a big difference in the way you use the phone. The curve at the back of the device is more prominent, which makes the phone easier to grip. The edges of the device also bulge out, making the phone seem bigger than it actually is. The camera and fingerprint sensor remain the same. On first impressions, the design of the phone seems a little outdated. There's a micro-USB port at the bottom of the phone and speaker grilles on either sides. Thankfully, the Redmi Note 6 Pro retains the 3.5mm headphone jack, Which is not the case with the Xiaomi Mi A2. The Most obvious change on the Redmi Note 6 Pro is on the front of the phone. The display size is now 6.2-inch with 19:9 aspect ratio and FHD+ resolution. It also seems to be brighter and colours seem to be more vibrant than the Redmi Note 5 Pro. While you may feel that the notch takes up a lot of space on the front of the Redmi Note 6 Pro, Look closely and you'll notice there are not one, but two cameras on the phone. The Note 6 pro uses 20MP + 2MP dual sensors where the Secondary Sensors takes in depth information. The primary camera up front also does 4-in 1 pixel binning to improve Low-light selfies. As we said before, the Xiaomi Redmi Note 6 Pro is more or less the same device as the Redmi Note 5 Pro. It is powered by the same snapdragon 636 SoC along with the 4GB or 6GB RAM and 64GB storage. It also gets the same 4000mAH Battery Capacity. The rear camera may have the same 12+5 MP sensors but the pixel pitch is higher at 1.4um to capture more light. A few of the new features in the main camera of the Redmi Note 6 Pro - AI scene detection which is capable of recognising 32 scenes, dynamic bokeh that basically animates the blurred area, and adjustable bokeh which we have seen on my android smartphones including the new Google Pixel 3. Xiaomi tops off the rear camera with electronic image stabilisation (EIS) for video recording. The Redmi Note 6 Pro will go on its first sale in India on Flipkart at 12pm on November 23, a day after its launch. when Xiaomi launched the phone in Thailand, it was priced at THB 7,000 (approx Rs 15,200). Redmi Note 6 Pro price in india is expected to be Around the same. The phone was announced in black, blue and rose gold Colour models and it is possible that the company might unveil the same colours in India as well.